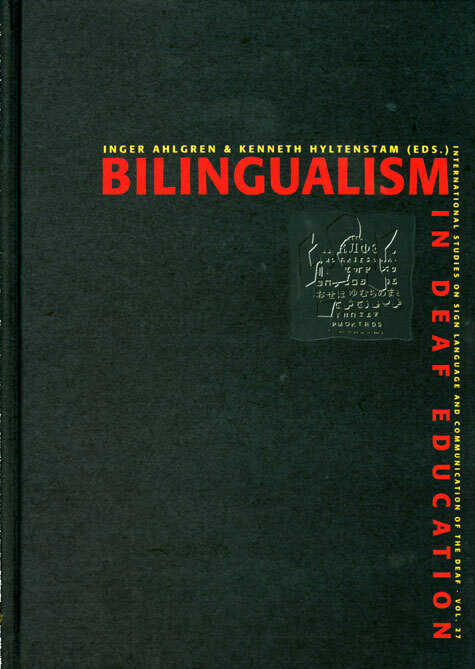 This volume results from a conference on the topic of Bilingualism in Deaf Education which was held in Stockholm in August 1993. The conference was organized by the World Federation of the Deaf (WFD) and the Swedish Deaf Association (SDR) in co-operation with our departments, the Department of Sign Language and the Centre for Research on Bilingualism at Stockholm University. The idea behind the conference was to share two decades of successfuSwedish experiences of bilinguaeducation for deaf children, using sign language as a medium of instruction and teaching written Swedish as a second language. The aim, therefore, was to make an internationacontribution to a positive development of the educationaconditions and generaliving conditions for deaf people and to spread knowledge of the importance of sign language in education and other spheres of life. The development of reasonable educationamodels for the deaf in Sweden has resulted from close co-operation between linguistic sign language researchers, educationalists, deaf organizations and parents of deaf children.